Update to AQHA Racing Media Policy. 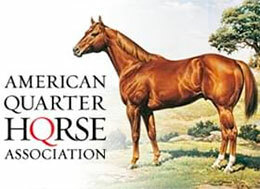 AMERICAN QUARTER HORSE RACING—APRIL 10, 2019— The American Quarter Horse Association is committed to the welfare of horses, as well as the integrity of American Quarter Horse racing. In an effort to recognize only those whose standards help to maintain the integrity of our sport, the association created the Racing Awards and Publicity Policy last year. This policy prohibits any horse or trainer of record with racing violations from being considered for AQHA awards or publicity. Violations continue to include positive tests for Class 1 or Class 2 substances, clenbuterol, any prohibited substances in the presiding jurisdiction, or any medications other than those defined by ARCI as being a controlled therapeutic medication. The policy has been updated to also include as a violation the failure to report for out-of-competition testing. The full AQHA Policy Concerning Awards and Publicity of Horses and/or Trainers with Racing Medication Positives, as well as a list of trainers and horses with violations, is available on the AQHA website.